Takata airbags are in the news again after Toyota issued a wide-scale recall of the automobiles fitted with the dangerous airbags. This includes over 1.3 million Toyotas across the U.S. The airbags have been implicated in 22 deaths and numerous catastrophic personal injuries that included broken necks, severe facial deformities and more. According to the data, there is a problem with Takata’s inflator. The inflator, especially when it is inflating in warm and humid climates, has a tendency to do so too forcefully causing a major explosion in the face of the individual driving. This can even injure others in the car by throwing shrapnel at great speed. 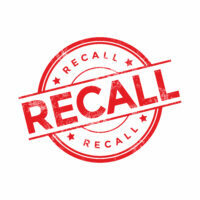 The National Highway Traffic Safety Administration (NHTSA) issued a broad recall of the airbag inflator which covered 37 million cars. Takata was hit with a class action lawsuit and forced to pay punitive damages for concealing the defect long after they became aware of it. Major corporations like Takata that stand to lose billions in class action lawsuits often get hit with several smaller lawsuits first. Since an attorney’s duty is to his client and corporations like Takata often offer settlements that are more than fair, the attorney accepts the settlement under the condition that the details of the lawsuit be sealed. In the case of Takata, they had a duty to inform federal authorities that there was a problem with their airbag and issue a voluntary recall for the inflators. But since it was cheaper simply to settle the lawsuits, they allowed more people to be injured, disfigured, and killed. For that reason, Takata was hit with punitive damages. In the end, Takata only forestalled the inevitable and still holds the record for the largest auto safety recall in the history of the world. Even the companies that they did business with, including U.S. manufacturers like Ford, were hit with losses nearing $1 billion for their role in the Takata fiasco. The company filed for Chapter 11 in 2017 and sold many of its operations to another supplier. Takata, though having filed for Chapter 11 which technically allows the company to survive, is dismantling itself in stages as opposed to being dissected in Chapter 7. Had the company filed for Chapter 7, Takata’s assets would have been completely liquidated and placed into a trust for those injured by the airbags. Nonetheless, the company is so hopelessly in debt that it will never be able to repay all of its creditors and victims. According to sources, Takata owes somewhere in the range of between $10 and $50 billion in liabilities. This includes accident victims. However, Takata will never be able to recoup more than $2 billion for all its assets. The money from the sale will be used to pay off victims and whatever remnant of the company remains will oversee the replacement of defective airbags. The Miami team at the office of Alan Goldfarb P.A. represents those injured by defective products in tort litigation. Give us a call or talk to us online to set up a free consultation.